$: 25.43, the amount already fleshed out by Independent Sector. Volunteers add real monetary value-our organizations are gaining the equivalent of paying someone to do the work. #: Key category contributions as in #fresh voices or #new ideas or #infused passion or even simply the #ability to focus on one thing and do it well. Beyond the 4 hour shift, volunteers are volunteer fresh (see Volunteer Fresh ) and are liaisons between our organizations and the communities we serve. 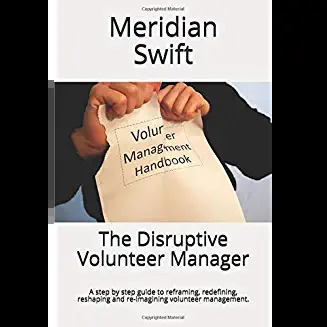 Volunteers can focus their attention on being present with a client while overworked staff members hurry off to the next meeting or scramble to finish paperwork. Volunteers can tune out all the chaos and concentrate on making sure data is entered correctly. Volunteers can deep dive listen to a donor on the phone so the donor feels their contributions are sincerely appreciated which translates to more donations.
.: Diverse point or more simply, volunteers bring diversity. 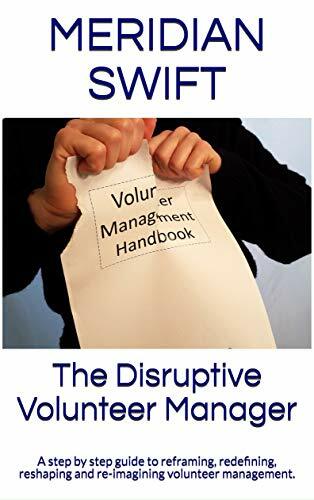 Organizations looking to diversify need look no further than the volunteer department. Volunteers come from all walks of life, all cultures, all religions, all parts of the world and all frames of reference. Some are mission experienced, some are transplants, some never held a job, some are too young to be employed and some have experiences we could never imagine. Want to tap into the pulse of the community? Get a group of volunteers together. @: At our organizations or more aptly, volunteers providing awareness. Our volunteers have a wide circle of influence and are continually creating organizational awareness beyond the hours recorded on paper. They talk us up to their friends, family, worship partners, clubs, neighbors and more. They are our WOMM (word of mouth marketing) ambassadors (Volunteer Fresh ) and their reach extends to future donors, potential clients, new volunteers or staff and budding advocates. S: Skills. Bucket loads of skills. Volunteers offer skills beyond what most organizational budgets can pay for. Marketing gurus, attorneys, tech wizards, executives, organizational geniuses, communication sages, project manager leaders, and so many more accomplished people offer their skills to help our missions. It’s like going to this amazing buffet featuring gourmet dishes from around the world and then finding out it’s free. All you have to do is get a plate. So next time you are asked to provide a volunteer “value,” use $I#.@S. (and you may have other numbers or letters or symbols that you think work better, so by all means, use them). For a different take on the value of a volunteer, see Just What is the Value of a Volunteer? Why Have Volunteer Department Goals, Objectives and Actions?